Flair Window Installations Ltd - Windows/Doors/Conservatories based in Minworth, West Midlands. 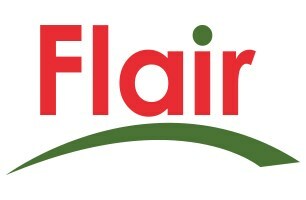 Flair began life as a retail only business in 1997. A desire for the highest quality products led the company into the manufacturing industry. From there we began offering our products to trade outlets and retail installers across the UK and abroad and now operate on a dual trade and retail basis. We are a family owned business, headed up by Managing Director Peter Lugg, with his wife Sharon and son Ryan working alongside him. Through rapid growth and development we have striven to maintain the “family feel”. Family values are at the core of our business and we believe every customer should expect to have their needs met - and that's exactly what Flair do. Flair operates from a 40,000 sqft state of the art factory in Minworth, West Midlands. We are fully equipped with the latest technology and are continuously investing in the latest equipment, software, increased space and the best operators to ensure we are able to produce the most technically advanced products and unrivalled service levels. We focus on getting it done right first time. We have heavily invested in a barcode scanning system that allows us to check and trace every frame through our production process. Our sealed units are certified to Kitemark BS EN 1279:2. We hold management system ISO 9001:2000 where quality and customer service are paramount, Flair continues it’s commitment and expertise to help customers grow profitably. We take environmental concerns seriously. We work to minimise the impact of our operations on the environment, we do this by careful product selection, recycling and carefully planned deliveries. Our products are designed to be energy efficient, thus lessening the impact of environmental damage. We operate Recycline and collect any scrap UPVC materials from customers for recycling. This includes old first generation UPVC windows that we are replacing, right across the UK.